His off-the-cuff remark reminded me it had been a while since I took the pulse of our Education Center leaders. Kurt Ruppel leads the IWCO Direct Education Center events in Chanhassen, MN while Michelle Peel takes the lead in our Hamburg, PA facilities. Their passion and enthusiasm for educating others is still fresh and exciting after leading sessions for more than 600 individuals from more than 60 clients. I asked them why that is. 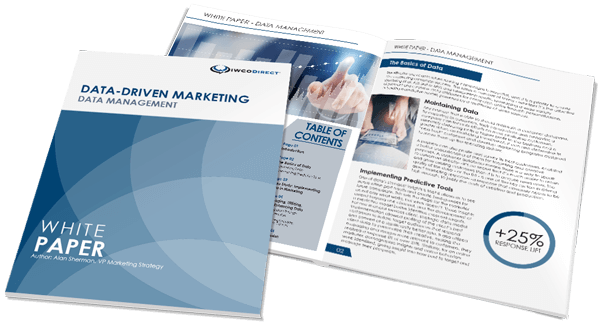 As we’ve said before, while other companies may provide training in limited disciplines or special seminars positioned as educational, no other company provides an integrated direct marketing services program that covers all aspects of production. The curriculum is always evolving, and like our clients’ marketing campaigns, is targeted to the needs of the attendees. Sometimes we’re given a list of topics, but more often we apply our own brand of segmentation to personalize the syllabus based on a variety of factors including experience, job responsibilities, program typeand session length. We know that more than half of our students want to better understand the direct mail production process from start to finish. They’re curious about timing for each step. Understanding the process helps clients realize when we’re just doing our job and when we go above and beyond to make something happen. It’s always amazing to witness the reaction of someone seeing a full-size press or a commingling line for the first time. The scope and scale of what we show during the Education Center is one of those things you can take for granted when you see it every day. The awe it can inspire is a reminder of how special it is. We’re also often reminded that some things about the graphic arts and digital printing leave people wondering. For example, an Education Center attendee recently asked, “Why are the ink colors called cyan and magenta, not blue and pink?” Good luck trying to ask Siri that question. We know that Siri will be challenged to answer questions about production inkjet, which is why we created our “Designing for Digital” module. Our objectives for adding this curriculum include unlocking the potential of digital print and, to borrow a phrase from the authors of “The Designers Guide to Inkjet,” embracing its “weird and wonderful” possibilities. One of the most satisfying pieces of feedback we received from a client after she completed an Education Center session was, “Thank you. Now I understand what I’m doing.” We never take that for granted. Let us know how the IWCO Direct Education Center can help you better understand the magic of direct marketing.